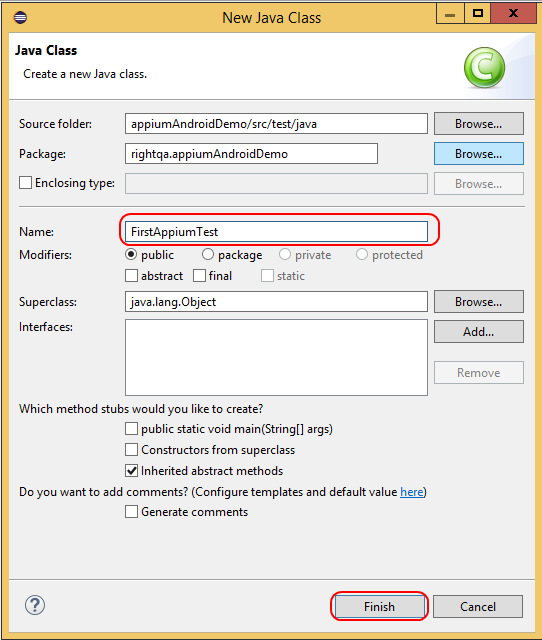 In this post we will see how to write an automated test for Android using Appium in JAVA. We presume you have all the necessary setup already done. If NOT, you can get the setup done and then continue writing the test. Actual Android app to be tested. You don’t have a test app? Don’t worry! 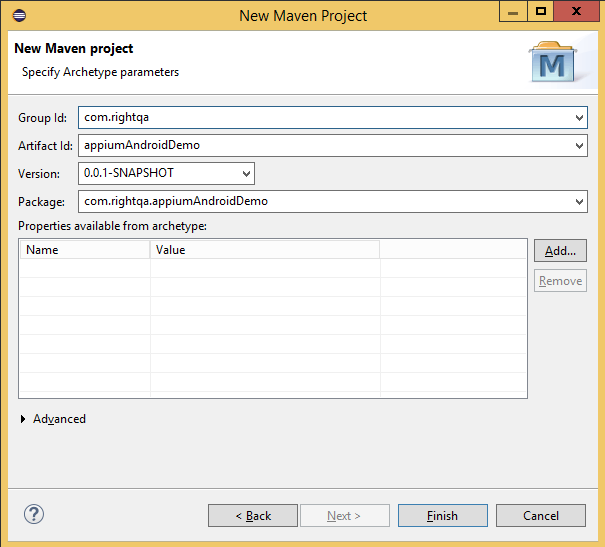 Appium provides pre-compiled test apps for you to get started. You can download the Android app(“api.apk”) from here. Just note down the location where you download the test app, you will need it later on. Copy the android application you downloaded and paste it in the apps folder, you just created. If you have configured everything properly you will see that in a few seconds, the app will be launched in the emulator and after 5 seconds the app closes itself. Congratulations!! You have successfully written and executed your first test using Appium! There will be a lot of activity going on in your Appium console window. We will understand about it in more details in coming posts. In coming posts we will add some more meaningful tests and take this first test to next leve. Hope you enjoyed the article. If you liked the article, don’t forget to share or comment. Hi and thanks for this tutorial! Should pom.xml tags and be replaced with and ? Thanks for tutuorial. I followed all the steps and when I run this i dont see app on my emulator. Also i run on actual device it didnt show any app here as well. But on console its printing "Hello world". so what i am doing wrong. I am new to appium/selenium. Can you please share your test script? I will be able to help, once I see what you have done so far. Launch the applicationTap on the Search bar/box/buttonEnter the search termTap on Enter key on native Android keyboard. How would you do this? We will focus on the last action of tapping “Enter” key on Android keyboard. Now, how do you know about the key you want to pass to “SendKeyEvent”? Below is the list (table) of keys for your reference. To verify that it works in your script, you can check them using ADB. 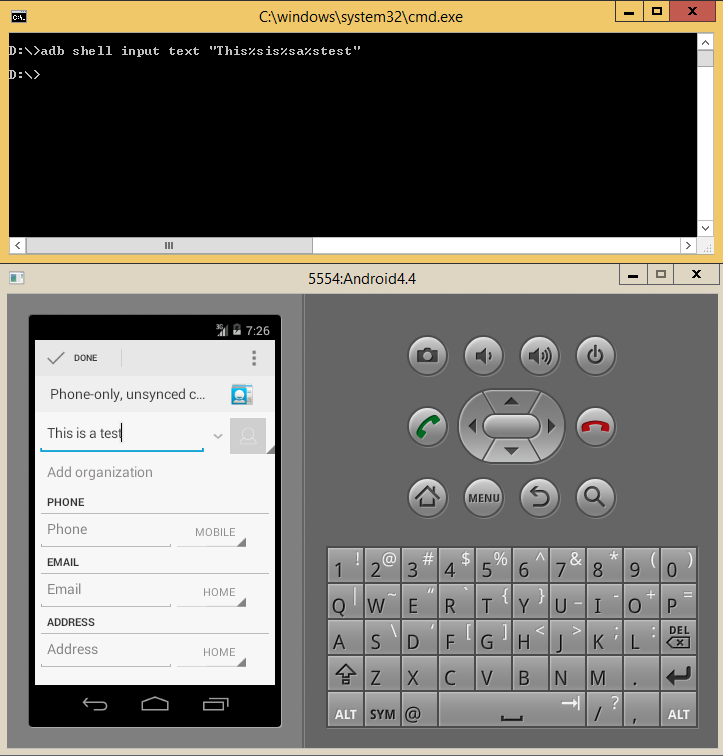 Assuming you have your Android SDK properly installed and configured, you can do the following. Appium is widely used for mobile automation these days. You have to have your Appium server up and running before you can run your automated Appium tests. Most of the times, the test engineers ensure that the Appium server is running before they start executing the test suite. But this arrangement won’t work if you want to run your Appium tests in Continuous Integration/Deployment. 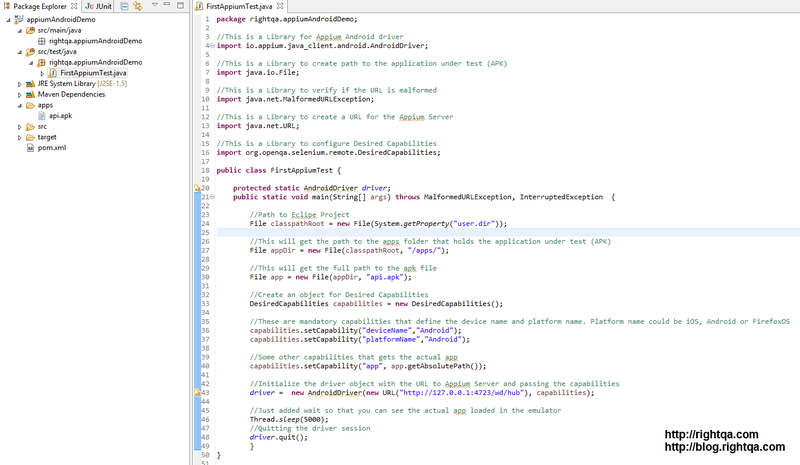 In this post, we will see how to start & stop Appium server programmatically using Java. This code is for Mac OSX (10.10). 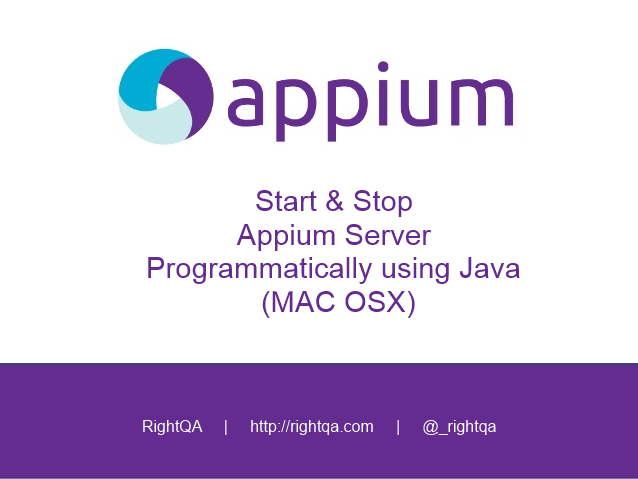 In next article we will see how to start & stop Appium server programmatically using Java on windows.